“The first two authoritative Early Adopters will be the key to demonstrating the great potential of Mike and the dynamic planogram”. With this statement, Giuseppe Oddo and Luca Liccese, responsible for Technological Development and Process Development of the MyAv innovative start-up, announce to retailers and potential customers the possibility of being the first to adopt the new technology by the year’s end. The two engineers have set themselves the goal of taking the Mike Process Master robotic system to the conquest of a significant position in an already highly competitive international market, but one still to be defined as values on the field. 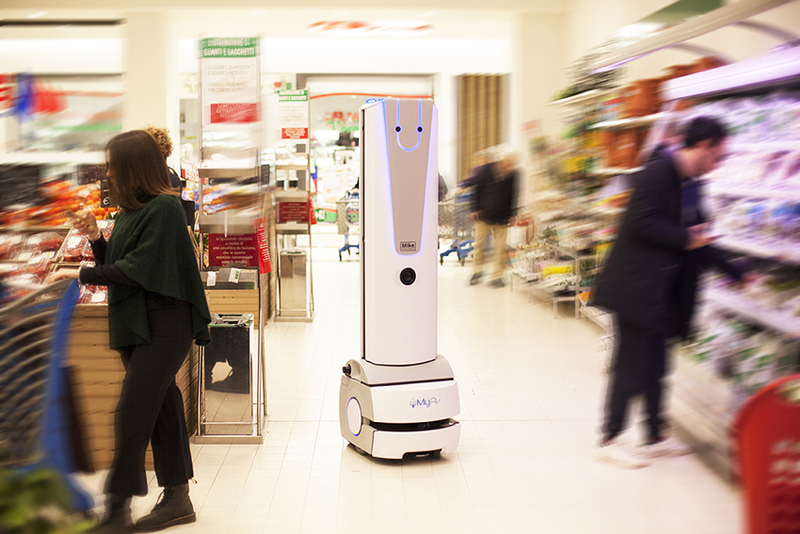 After the début in the United States of similar systems in the stores of the multinationals Ahold and Walmart, MyAv was the first in Italy and Europe, at the beginning of 2018, to put into operation a robot serving the point of sale process, at the Iper Futura supermarket in Potenza. Since then, other operators have announced proposals for experimentation in this field, but the first to propose a standard offer of product to fast-moving consumer goods distribution networks is MyAv, with the presentation at Forum Retail 2018, on 29-30 November at UNAHOTELS Expofiera, Pero (Milan). During the event, MyAv will present its commercial offer with a claim and a very clear promise: “Today you can”. Retailers and potential customers will have the chance to realise the Dynamic Planogram effectively, i.e. to structure a method of control of supply effective in real time in their point of sale. The adoption of the dynamic planogram will enable simplification of the analysis of the critical situations encountered and to make informed, timely decisions to optimise the management of spaces, adjust stocks, support the activity of the operators in the store and, in general, improve the service to the customer. Mike Process Master integrates simply and flexibly with such management and planogramming instruments as already exist, to make them more dynamic or, where they are absent, provide the basis for structuring a process of implementation and control of the planogram. The two engineers point out that international information from the sector places the advantage achievable in terms of greater efficiency and effectiveness between 1% and 1.5%, thanks to the passage to a real-time control of situations that are considered critical. 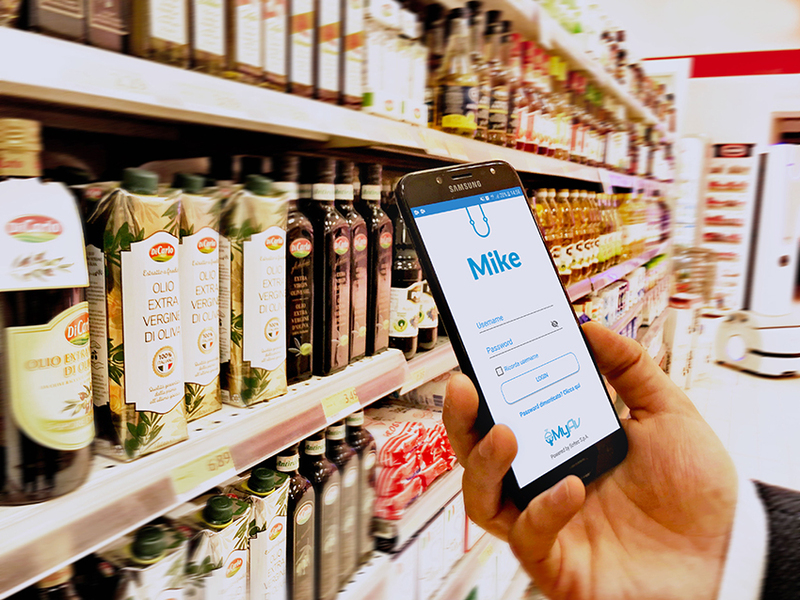 Mike, in its operational simplicity, has already amply shown its ability to work, integrating itself into the activity of the point of sale, also at peak times, and is now preparing to become a presence of value in the stores of the big chains. 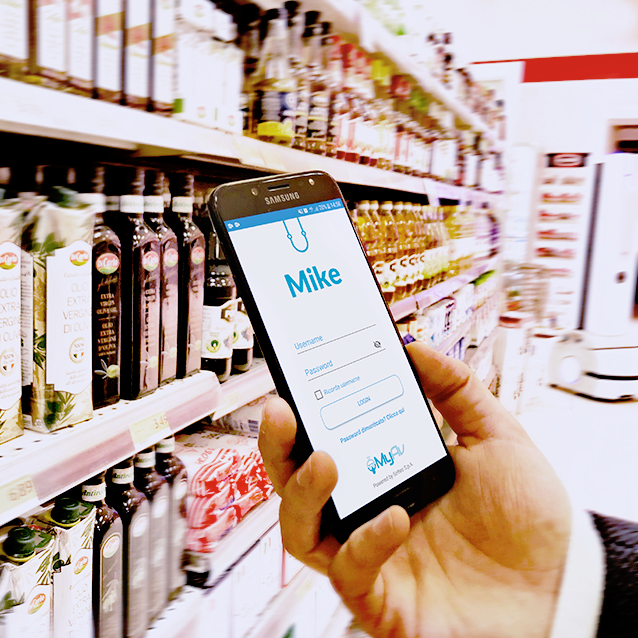 Starting from its coming participation in Forum Retail, MyAv is ready to supply Mike to Early Adopter concerns wishing to assess and concretely testify to the validity of the solution in application. In order to optimise the adoption of this technology, it should preferably be applied in structures with a sales area indicatively greater than 1,500 sq.m and, with factors of learning in the field linked to Mike’s artificial intelligence, it is important for it to be used simultaneously in at least three stores of the same chain. “Mike is a flexible, open solution, that can already be easily and immediately integrated within an existing ecosystem, increasing the effectiveness and efficiency of the current processes”, says Giuseppe Oddo. “For this reason we will always be attentive to our customers’ needs, right from the beginning of our relationship with them. A new market of assistance to retail chains is opening up, with robotic instruments equipped with Artificial Intelligence. The Internet of Robotic Things is already a reality that promises significant rates of development, but without excluding other opportunities and fields of application in the future”.